As a self-published author, you already know about the algorithmic boost you receive in sales and discoverability whenever you release a new indie-published book. Similar to the front-table advantage in physical bookstores, a spot on the Hot New Releases list makes your latest title soar in the rankings and increases the possibility that it’ll catch the eye of a book browser. But how do you take advantage of this powerful driver of sales when you don’t have a new book on the horizon? 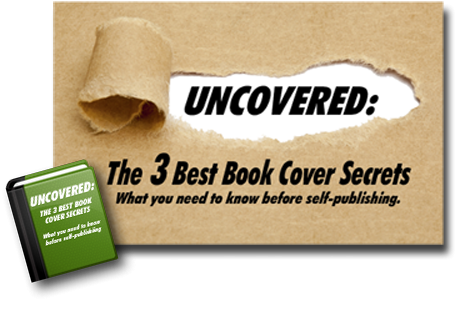 Self-Publishing Relief has the answer: Publish a boxed set of your already-self-published backlist books! What constitutes a boxed set? It’s a collection of thematically connected books packaged to be sold as one unit. In terms of print publishing, traditional publishers often make boxed sets by shrink-wrapping physically separate books. These sets are rarely larger than three to five volumes, except for a blockbuster series like Harry Potter, because pricing becomes prohibitive. Epublishing has no such limitations. A self-published author can make a boxed set of three books, ten books, or even ninety-nine eBooks, so long as the file size of the final collection falls within each vendor’s limits (more on that later). Indie-publishing a print “boxed set” is just as easy using Print-On-Demand (POD) technology. However, rather than three separate books shrink-wrapped as one, POD prints the collection as a single, long book (within some limits). Before you create a boxed set, take a good, long look at your backlist of books to determine how you might group some of them into a cohesive collection. Self-published novelists often make boxed sets of their ongoing series. These can be whole-series sets or increments such as books 1-3, 4-6, 7-9, etc. Self-published nonfiction writers can group their tomes in similar ways, taking advantage of the parallels among subjects. The great thing about self-publishing boxed sets is that, as a self-published author, you already know how to do it. Publishing a boxed set is just like publishing a single eBook, except that this eBook is bigger. Keep in mind that there are limits on file sizes for your final collection, so consider carefully how many books to include in your bundle. Check out these file size limits for different vendors. CreateSpace, a popular POD publisher, allows a maximum of 828 pages. Pick a catchy title for the whole collection. Prepare your text file for formatting by taking the text of your three (or four, or fifty) books and put it all together in a single file in a sequential way. Write up new front and back copy specific to the collection, then send it out for formatting. Get a new cover. Apple iBooks only takes two-dimensional covers, but you may want to ask your cover designer for a 3-D cover for other vendors. Snag a new ISBN for the collection, if you use them. Choose a price point. To encourage readers to buy, make the price a noticeable discount from the sum total of the books inside. 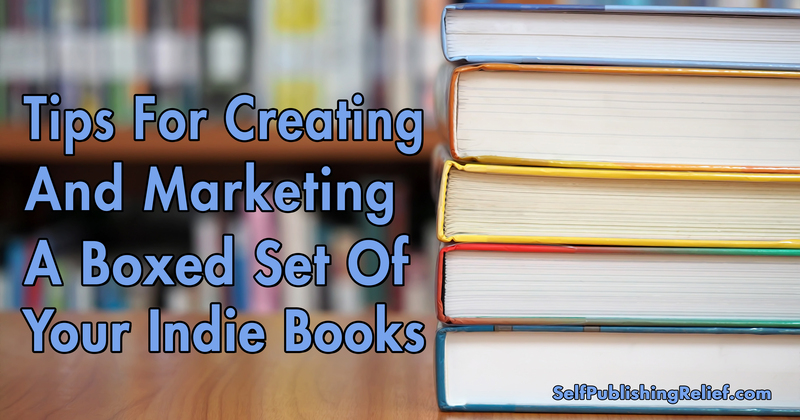 Not only do boxed sets give indie writers an opportunity to publish on a more frequent schedule and satisfy their avid readers, but they’re also effective promotional and marketing tools. The ability to deeply discount a boxed set during a short promotional period is an effective way to attract more readers. Some bold and innovative self-published writers even team up with others to provide multi-author collections for cross-promotion in their genre. If you’ve got enough backlist books to play with, what are you waiting for? Question: What was the last boxed set you bought: an author series, a multi-author bundle, or a themed collection?